This project originated from previous exchanges with a customer having problems with Extreme GC Content PCR amplification. 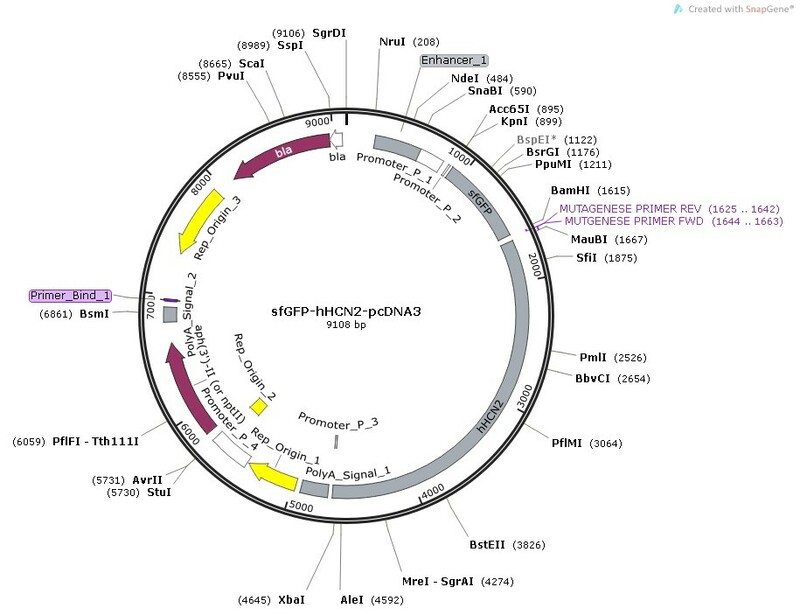 Their plasmid codes for a sfGFP-GOI in pcDNA3. The researcher’s lab is located at the the Université de Montréal in Montreal. The problem is that their GOI has Extreme GC Content. The first 200 bp of hHCN2 has a minimal GC content of 92%.Then, the GC content does not drop below 76% for at least another 400 bp. Overall, the 3006 bp coding for the GOI has a GC content of 70%. Total vector size is 9108 bp. That sure sounded like a nice challenge for us to solve! The first 200 bp of hHCN2 has a minimal GC content of 92%.Then, the GC content does not drop below 76% for at least another 425 bp. Overall, the 3006 bp coding for hHCN2 has a GC content of 70%. High GC content isn't difficult when you can FLY! Way too much DNA was loaded on the gel, but hey! we got it (again) on our first attempt. 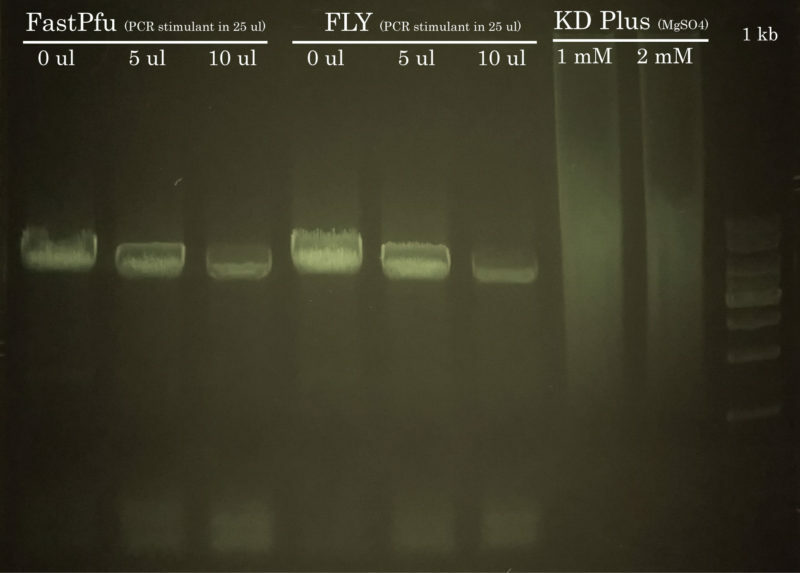 The mutagenesis PCR was performed using either TransStart FastPfu or FastPfu FLY in presence or not of increasing amounts of PCR Stimulant. PCR using KD Plus also was attempted but you can see that it failed. The presence of PCR stimulant only lowered the yield of the reaction, therefore it was not necessary to use it.